‘Auto Driver’ is an official selection of the 2017 WVN Online Film Festival. Women’s Voices Now amplifies the voices of all women by promoting the free expression of women’s struggles for civil, economic, political, and gender rights worldwide. By providing free online platforms for film, art, writing, and social-media activism, we connect people and resources striving for global women’s rights. 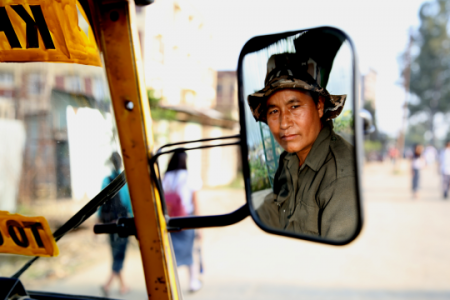 The Award winning film ‘Auto Driver’ is directed by Dr. Meena Longjam from Manipur, India. This film gets nominated among 36 officially selected films at the fourth Women’s Voices Now Film Festival. Laibi is a lady auto driver based in conflict torn Imphal City. Defying the traditions of society, in the face of financial burdens and confronted by passengers who shun lady auto drivers, she drives to support her ailing husband and the education of her two sons. Previous articleArunachal BJP chief intercepted at Guwahati Airport with Rs.10.5 lakh from Manipur! Yes this is real one. Well said, I have seen this movie with my colleagues. Fantastic Movie. I have seen this. Loved it.